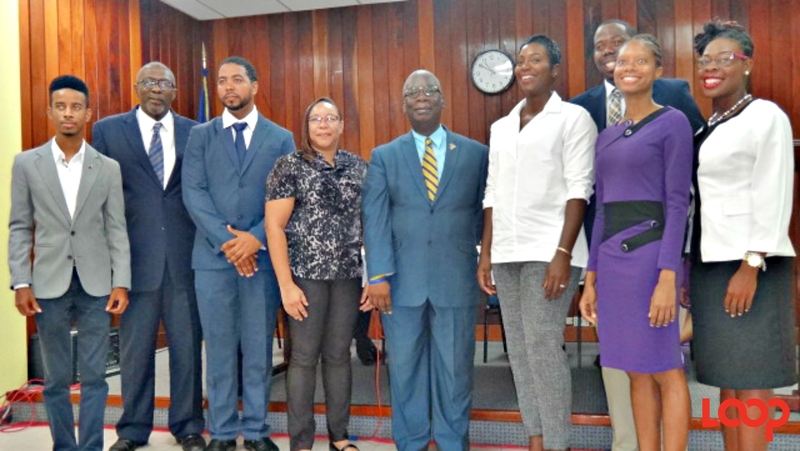 (from right) Education Minister Ronald Jones, Chief Education Officer Karen Best and Deputy Education Officer Joy Adamson with some of the 2017 Barbados Scholarship and Exhibition winners. 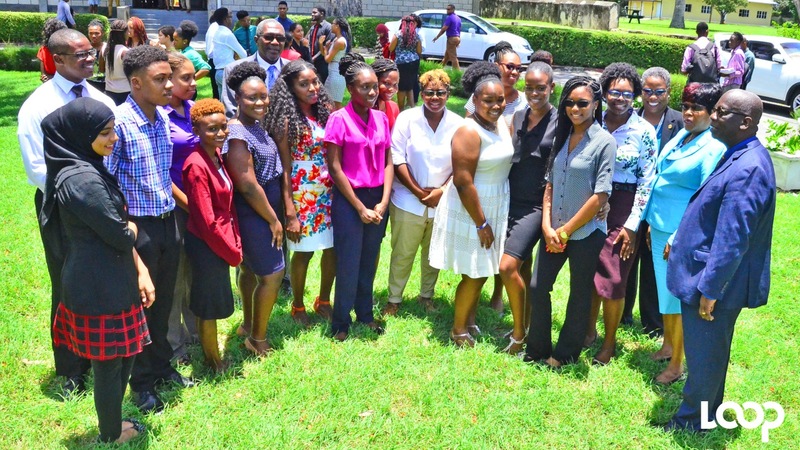 Students of Queen's College have earned the majority of the 26 Barbados Scholarships and 19 Exhibitions awarded this year. 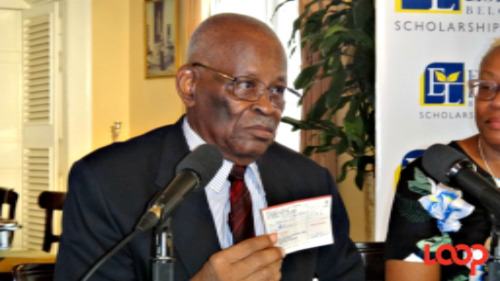 The names of the winners of Barbados Scholarship and Exhibition winners were announced this morning by Education Minister, Ronald Jones. From Queen's College, there were 15 Scholarships and 11 Exhibitions. Harrison College captured 11 Scholarships and five Exhibitions. Meanwhile, there was one Exhibition winner from the Christ Church Foundation School and two from the Barbados Community College. Barbados Scholarship and Exhibition winners with education officials after this morning's announcement. Harrison College: Carlos Andrew, Clementine Chee-A-Tow-Forter, Daveed Gittens, Sian Hallsworth, Lashaina Holford, David Johnson, Karishma Karnani, Destini Lynch, Afeefah Lunat, Dominique Persaud, Kyron Richards. 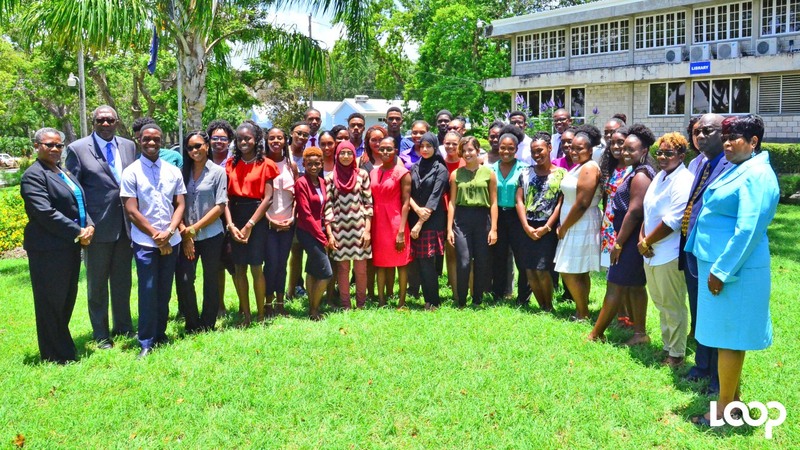 Queen’s College: Alana Applewhaite, Dominique Bovell, Shannon Boxill, Kamar Clarke, Dominique Ellis, Gabrielle Farnum, Adara Haynes, Tre Hollingsworth, John Hunte, Joshua Jones, Hailey Laurayne, Zaria Layne, Tiffani Lynch, Nia Marshall, Emma McIntyre. Harrison College: Nicholas Atwell, Jameelah Bhana, Jada Jones, Shaquille Thomas, Maurice Walkes. Queen’s College: Chanelle Bowen, Aliyyah Boyce, Shane Carter, Shanice Cox, Latisha Edwards, Simone Jean-Marie, Maisha King, Tia Mahon, Emilee Mustor, Toria Small, Teri Williams-Niles. Christ Church Foundation School: Azaria Forde. 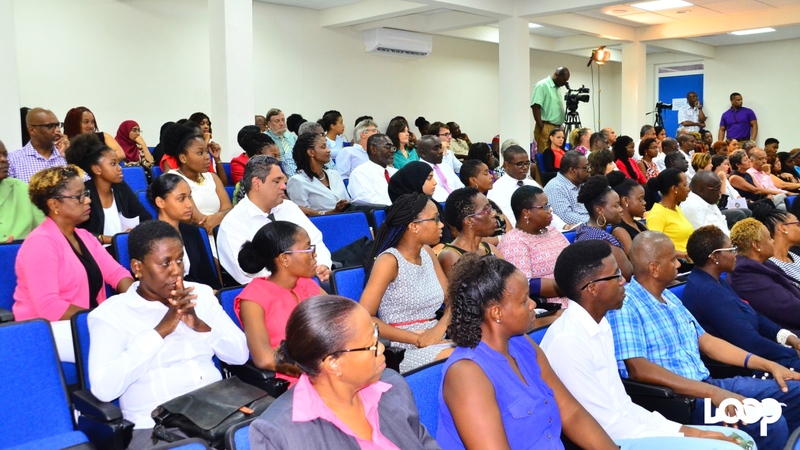 Barbados Community College: Cara Cumberbatch, Brittany Gibbons. 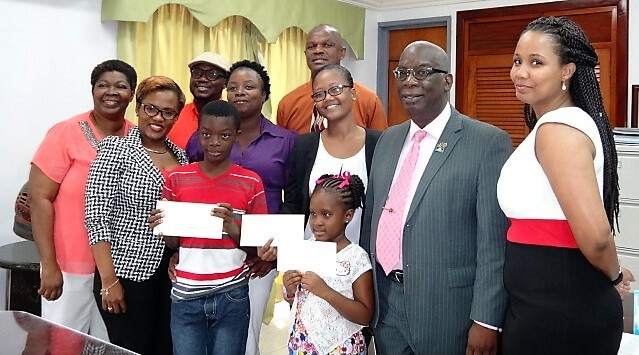 Barbados Scholarship and Exhibition winners and family members at this morning's press conference.